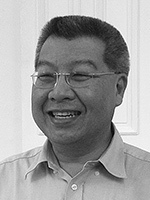 Dr. Kevin YL TAN LLB (Hons); LLM, JSD (Yale), taught full-time at the Faculty of Law, National University of Singapore from 1986 to 2000. 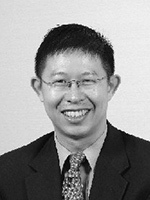 In 2000, he founded Equilibrium Consulting Pte Ltd, a boutique consultancy focused on history, heritage and publishing. He is active in many civic organizations including the Singapore Heritage Society and the Foundation for the Development of International Law in Asia (DILA). He has edited and written over 30 books and over 50 articles on the law, history and politics of Singapore. He is currently Adjunct Professor at the Faculty of Law, National University of Singapore as well as at the S Rajaratnam School of International Studies, Nanyang Technological University. Kevin specializes in constitutional law, the Singapore legal system, international human rights, and legal history. 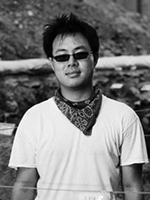 LIM Chen Sian read Archaeology and Finance at Boston University, Boston, Massachusetts, and received his MA in Southeast Asian Studies from the National University of Singapore. Field and research experience includes working on Classical Maya settlements in Belize, Central America; Middle Kingdom Pharaonic Egypt; colonial archaeology sites in Boston Massachusetts; 10th-14th century settlements in Aceh, North Sumatra and Jambi, Indonesia; 15th-19th century port cities at Banten West Java, Indonesia and Melaka, Malaysia. More recently, fieldwork involves working in Cambodia investigating ancient industrial sites and early examples of urbanization in Southeast Asia. Since 2002, he is actively involved in the local archaeology scene and for the last decade has led all the major archaeological investigations in Singapore. His research interests are the archaeology of European colonial period in Southeast Asia and identifying potential archaeologies, including the pressing need for legislation to implement pre-development archaeological investigations and regulation pertaining to artifacts and antiquities. He is presently a Visiting Research Fellow with the Archaeology Unit, Nalanda-Sriwijaya Centre at the Institute of Southeast Asian Studies (ISEAS), and was recently awarded ISEAS’ PhD scholarship. TAN Wee Cheng is an Adjunct Associate Professor of Accounting at the National University of Singapore, a Chartered Accountant and a former investment banker. From 2009 to 2013, he was the Treasurer of Singapore Heritage Society, a non-governmental organization dedicated to the conservation and promotion of Singapore heritage, and is currently the Society’s Advisor for Governance and Finance. 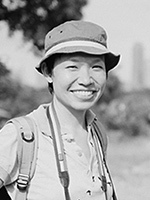 TAN Kar Lin received her architecture degree, and subsequently an MA in research from the Department of Architecture, National University of Singapore. Her Masters thesis is a study of the transient urbanism and leisure consumption in the urban entertainment parks of Singapore and Malaya, and her published writings relate to built heritage conservation, urban history, and modern architecture of Singapore. From 2005-2007, she was the co-editor of Singapore Architect, the journal of the Singapore Institute of Architects. Together with Ho Weng Hin, she is the founding partner of Studio Lapis, an architectural restoration and research-editorial consultancy based in Singapore. Apart from major conservation projects, Kar Lin and Weng Hin also undertook the built heritage documentation and evaluation of the former KTM railway land (2012) in collaboration with the Singapore Heritage Society, and co-authored the monograph of pioneer architect Sonny Chan Sau Yan, Green Ink on an Envelope (2013). Kar Lin is a co-author of Our Modern Past, the upcoming volume on early modern architecture in Singapore published by SHS and SIA. 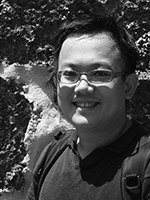 Dr. Johannes Widodo is an Associate Professor at the Department of Architecture, School of Design and Environment, National University of Singapore. His current position is the Deputy Head Research and Executive co-Editor of JSEAA (Journal of Southeast Asian Architecture). He is also an Adjunct Professor at the Department of Urban Planning and Engineering, Yonsei University, Seoul, Korea; and Visiting Research Fellow at the Research Institute for Humanity and Nature (RIHN), Kyoto, Japan. He obtained his professional degree in Architecture from Parahyangan Catholic University (Bandung, Indonesia, 1984), Master of Architectural Engineering degree from Katholieke Universiteit Leuven (Leuven, Belgium, 1988), and PhD in Architecture from the University of Tokyo (Tokyo, Japan, 1996). His research areas include Architecture History and Theory, Urban & Cultural Studies, and Heritage Conservation & Management with special focus on Asia and its relation to the global contexts. He is a founding member of mAAN (modern Asian Architecture Network), iNTA (International Network of Tropical Architecture), and DoCoMoMo Macau. 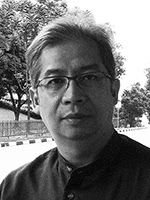 He is serving as a jury member for UNESCO Asia Pacific Awards for Cultural Heritage Conservation, a member of ICOMOS Scientific Committee and National Committee of Indonesia, a founding member of ICOMOS National Committee of Singapore, and an associate member of the Asian Academy for Heritage Management. 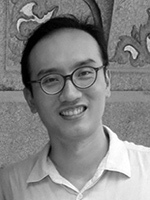 Dr. YEO Kang Shua is an Assistant Professor of Architectural History, Theory and Criticism at the Singapore University of Technology and Design. He also holds the inaugural Hokkien Foundation Career Professorship in Architectural Conservation. Kang Shua obtained his BA (Architectural Studies), MArch and PhD (Architecture) from the National University of Singapore. He has worked on many projects involving conservation work, such as Wak Hai Cheng Bio (Yueh Hai Ching Temple), St Andrew’s Cathedral and Yu Huang Gong (formerly Keng Tech Whay). In addition, he has collaborated in many archaeological projects in Singapore, such as those at Palmer Road (2006) and Fort Serapong, Sentosa Island (2006-2007). He has also published in both local and international journals on theory of architecture, conservation and history. Kang Shua has had the privilege of being part of the team on two separate projects that won the UNESCO Asia-Pacific Heritage Awards for Culture Heritage Conservation: Award of Excellence for Singapore Lam Ann Association’s Hong San See Temple Restoration Project in 2010 and the inaugural heritage award Jury Commendation for Innovation for Yuhu Elementary School Project in Lijiang, China in 2005. He was also the inaugural head of the Monuments Inspectorate at the Preservation of Monuments Board, Singapore.